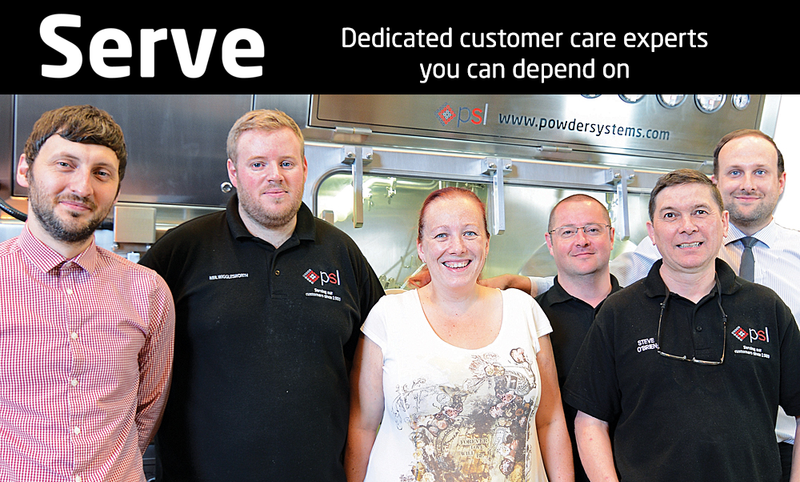 PSL Serve is our dedicated customer care team offering comprehensive technical support for your filtration, drying or high containment systems worldwide, including planned maintenance contracts and approved spares parts. Our dedicated service engineers maintain, validate and upgrade new and existing equipment, ensuring that every installation continues to meet industry regulations and that all operators, products and the environment are protected. Our customer care team provides any assistance required, from quotations to technical support. Our dedicated customer care experts deliver a worldwide service you can depend on. Our after-sales care staff are ready to respond to any enquiry quickly and efficiently using decades of experience. We guarantee quality engineering support and immediate troubleshooting assistance. PSL Serve will ensure that your equipment remains in peak condition with the supply of quality approved spare parts. Every spare part supplied complies with industry regulations and PSL’s Quality Assurance testing and validation requirements. PSL holds stock of consumable spares for quick delivery. A detailed quotation is provided with all equipment that is shipped from PSL. This highlights critical, consumable and recommended maintenance spare parts. We requalify equipment after relocation or decommissioning. Our qualified engineers assess machinery and qualification protocols to advise the best solution. Working with our certified documentation, our engineers verify the installation and operation of your requalified equipment and with minimum disruption to production. We generate the required documentation and protocols for smooth on-site execution by highly specialised service engineers. Our service team verifies that all new equipment has been installed correctly and complies with all Operational Qualification requirements. We provide a full Occupational Exposure Limit (OEL) certification package by defining and testing OELs for existing containment systems installed on-site, following the ISPE Guidelines. High Containment Isolators and Gloveboxes should be routinely verified to ensure that they keep performing as per the original specification throughout the years. Our containment experts assess the existing installation and generate a test protocol. PSL work alongside a third party occupational hygiene consultant who monitors the testing and collects, controls and analyses the samples, followed by a detailed results report. The PSL Glove Integrity Testing System provides a quick, safe and easy method to test in situ pharma gloves. For more information view pdf. Our service engineers provide customers with a fast response internationally to both planned and unplanned site services. Serve provides planned maintenance packages to ensure that all equipment continues to perform optimally at all times, minimising downtime. Our dedicated service team will accommodate your production schedules to undertake planned maintenance at any time, including shutdown periods, thus enabling you to control site activities effectively. Our Maintenance Packages range from our Standard Level, which comprises the provision of labour and equipment inspections, through to our Comprehensive Level including all consumable parts and labour for a trouble-free maintenance programme. Our service team can provide peace-of-mind cover, which quickly resolves any breakdown situation and gets equipment back up and running, thus minimising downtime along with loss of production. Serve team covers the whole world, from America to Asia, with local support partners when required. Site personnel training is available to ensure the safety of all operators and maintenance personnel on new and existing installations provided by PSL. This also provides the necessary knowledge for operation and maintenance personnel to operate the equipment in a correct and safe manner. Only 2 Days until you can see first-hand how we can help with your Filtration and Drying processes! Looking for solutions to your filtration and drying processes? Not long until the E3 Business Awards 2018!